RANGERS failed in their attempt to reach the Premiership as Motherwell saw them off 6-1 on aggregate in the play-off final. 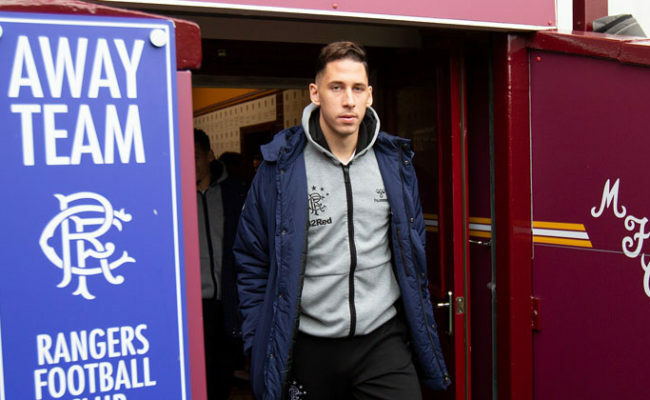 The Steelmen netted three in the second-half at Fir Park to win the second-leg and give The Light Blues a tortuous afternoon. 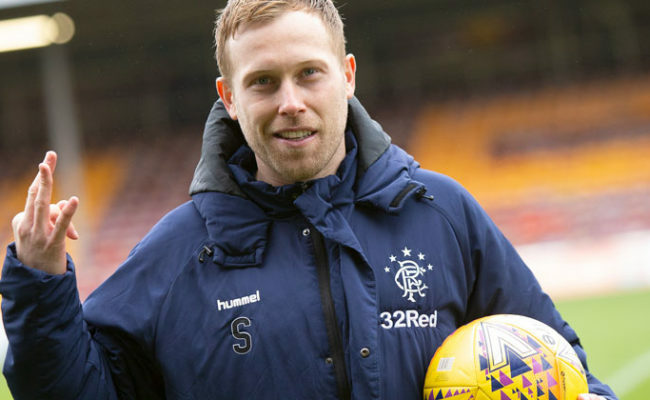 It is a result that means Rangers will have to spend another season battling in the Championship and wait another 12 months for a chance to reach the top flight again. 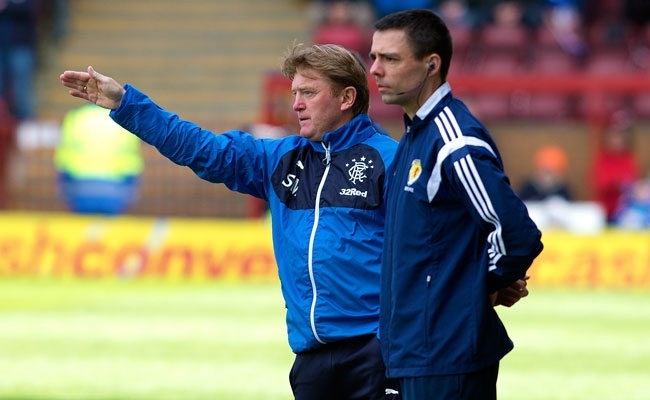 It was in fact Rangers who started the brighter, in the second minute, when Kris Boyd, back in the starting line-up, headed directly at George Long after latching onto Shane Ferguson’s cross. And then four minutes later the striker had another opportunity when he lashed his shot wide after finding himself in space inside the box. On 12 minutes Marius Zaliukas rose highest to scare Long with a header as the keeper was forced to scurry to tip it over the bar. Former Motherwell man Nicky Law had whipped the ball into the area after Ferguson won the free-kick out on the left. 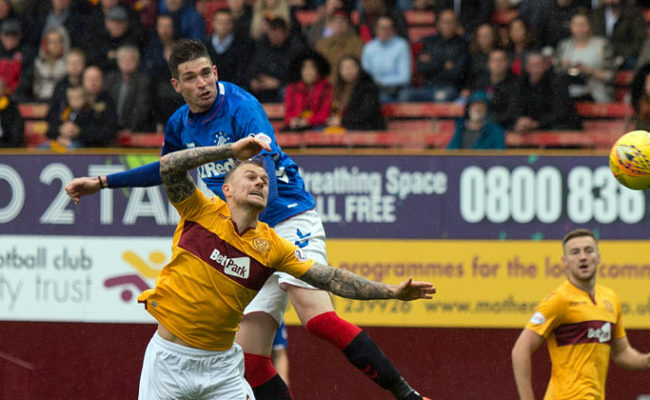 Time ticked on before Boyd had another opening to score but he failed to connect as Richard Foster flashed a dangerous ball across the face of goal. Rangers had the majority of the play in the opening 20 minutes, they looked to be dominating with 62% of the possession but hadn’t profited from it. Motherwell reached the by-line a handful of times to curl in some corners but they too couldn’t make a mark. 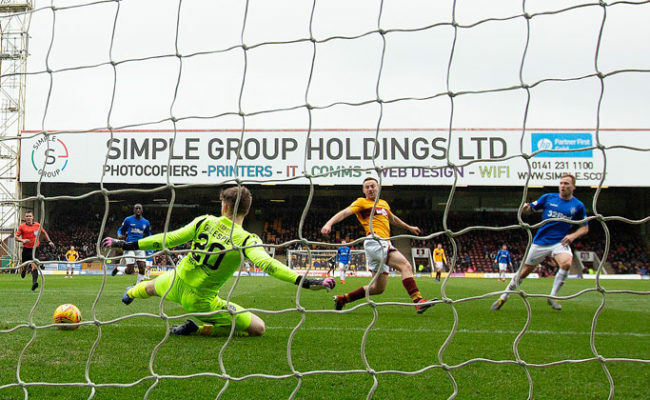 But Motherwell cranked up the pressure and sent Rangers hearts racing on 31 minutes when they launched a pacey attack to spring the offside trap. Lionel Ainsworth cut a fizzing ball into the box which Lee McCulloch couldn’t reach to clear and Scott McDonald missed it by inches with his outstretched foot. A few moments later Lee Erwin, a goal scorer from the first-leg, rifled his shot beyond Cammy Bell but it bounced just wide of the upright to keep Rangers in the game. Four minutes before the break Marvin Johnson went agonisingly close to giving the home side lead. He launched an effort from outside the box, which sent Bell diving to his left, but the shot fell the wrong side of the post. The Light Blues went straight down the other end but only to see Zaliukas fire over in front of an open goal. The ball had reached the Lithuanian after it bounced clear from a Ferguson corner and it was gilt edged chance as half-time approached. Seven minutes after the break The Steelmen took the lead through Johnson to make it 4-1 on aggregate and give Gers an even bigger hill to climb. The 24-year-old lined up an effort on the edge of the area and as he unleashed his strike it took an almighty deflection off Zaliukas to outwit Bell. The keeper was backtracking to the goal line but could only watch as the ball looped over his head to send Fir Park ballistic. Haris Vuckic, who was experiencing another unprofitable game, tried his ususal route to goal as he cut inside and curled a ball at Long with 24 minutes left. The keeper was unmoved though as he collected with ease and the agony of the afternoon continued for the Slovenian’s team. 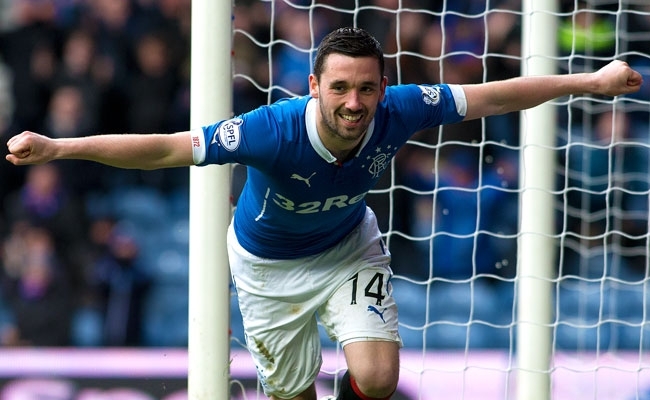 But the day was to get even worse for the Gers when Ainsworth slotted home in the 70th minute. Johnson’s pace had sent him soaring down the left and when he cut a ball along the edge of the area Ainsworth was there to rifle a shot along the ground under Bell and again a slight deflection off Zaliukas helped it on its way. Motherwell had it in the net again in injury time but they were flagged back to take a penalty after Lee Wallace felled Erwin. Substitute John Sutton stepped up and dispatched the ball past Bell with ease.